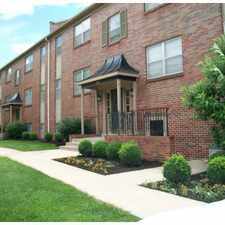 This apartment is in Warrensburg. Nearby parks include Grover Park, Blind Boone Park and Shepard Park. 315 Jefferson has a Walk Score of 58 out of 100. This location is Somewhat Walkable so some errands can be accomplished on foot. One Bedroom House Close to Campus!! - Cute and cozy one bedroom home just a quick walk to campus. This home is equipped with refrigerator, stove and W/D hookups. NO PETS. NO SMOKING. Explore how far you can travel by car, bus, bike and foot from 315 Jefferson. 315 Jefferson is in the city of Warrensburg, MO. Warrensburg has an average Walk Score of 35 and has 18,838 residents.